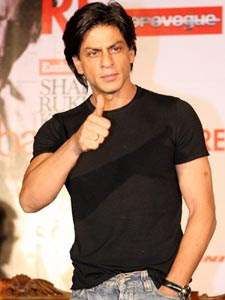 Bollywood superstar Shah Rukh Khan's smoking act during an Indian Premier League (IPL) match April 21 has not gone down well with the anti-smoking lobby which is trying to ensure that television footage of celebrities smoking does not get broadcast. The National Organisation for Tobacco Eradication (NOTE) said in a statement issued that its counterpart South African National Council Against Smoking (NCAS) is lobbying with the official broadcasters to ensure that footage of smoking, especially by celebrities, should not be broadcast. "We have sent the details to Supersport, who are the official broadcasters of the IPL and the NCAS is in the process of soliciting an agreement that they will not show anyone smoking," NCAS's convener Peter Ucko informed NOTE Friday. NCAS has said that television footage showing icons smoking, dangerously increases the chances of children and other non-smokers picking up the habit as they try to emulate their heroes. NCAS, in its letter to NOTE, further said that while smoking in public places is still not banned in South Africa, the department of health there was very active in lobbying for the concept of no smoking in public places. "If Khan does it again we will ask the management to caution him, or we will seek his removal from the stadium," the press note states. The NCAS has also assured that they would lobby with the chief executive officer of the Wandereres stadium Alam Kourie to enforce the 'no smoking in enclosed areas' law. "We have also asked the stadium management to make no smoking announcements through the match and during drinks breaks."